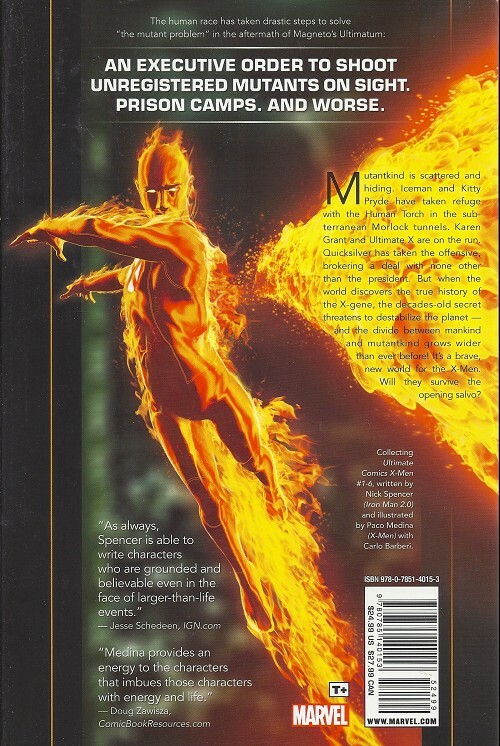 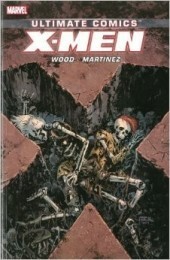 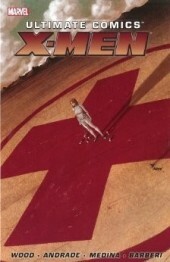 The biggest mutant cover-up has gone public as the true history of the X-Gene is revealed. 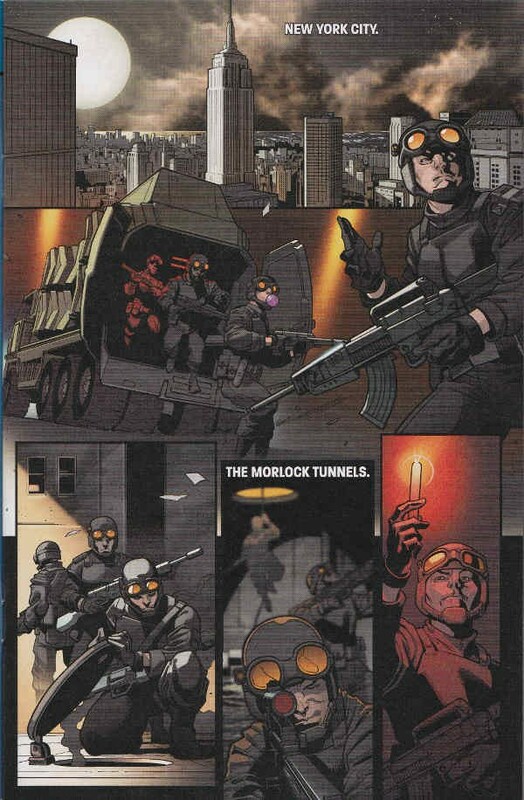 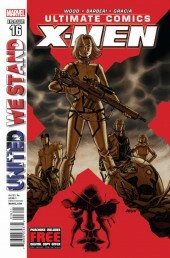 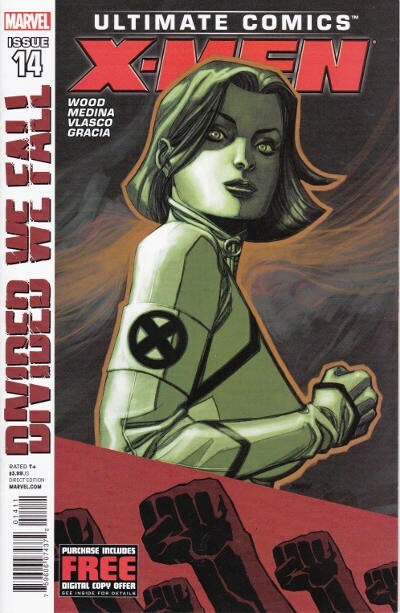 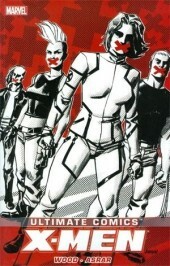 the United States government has been outed as the X-Gene's creator and mutants have been branded terrorists. 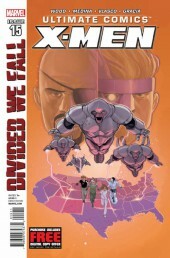 as an identity crisis rocks the mutant world, the mistrust between man and x-man gets deeper ... and it is in this insanity that the X-Men emerge. 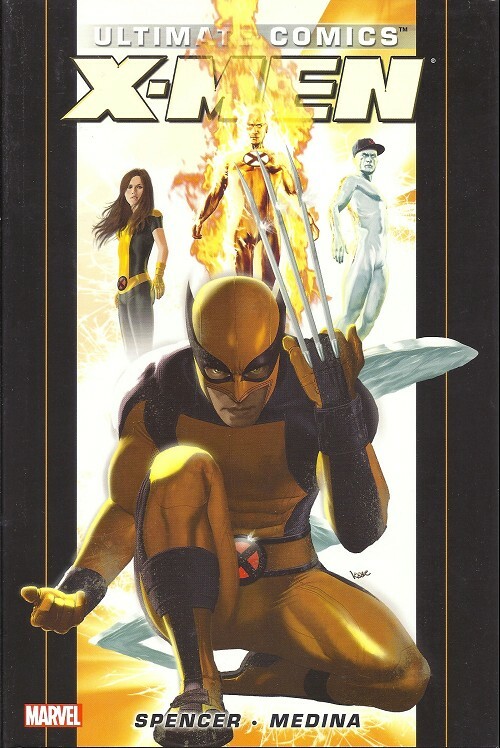 Who are the X-Men? and how will they fare in a world where they are criminals? 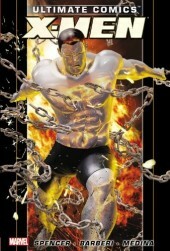 Will these outlaw mutants be willing to defend mankind, when all of humanity cries out for their imprisonment? 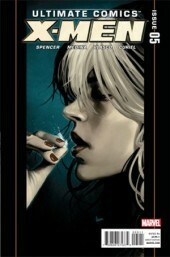 Info édition : Hardcover with dustjacket. 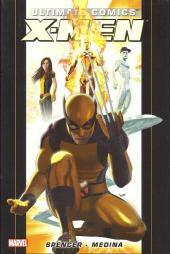 Collecting Ultimate X-Men (2011) 1-6. 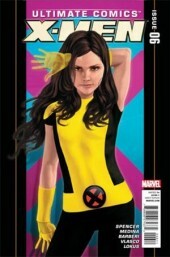 Info édition : Collecting: Ultimate Comics X-Men 18.1, 19-23.